Talk about a fun event!! Just like the old days of heading out to a Drive-In movie! 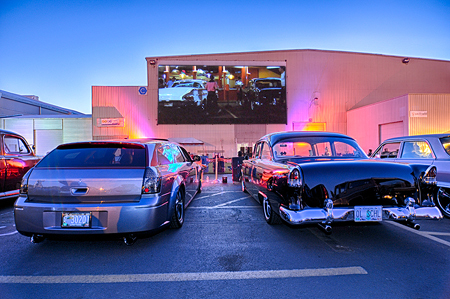 The Portland Expo Center played host to the classic movie "American Graffiti" on the big screen and there were alot of classics and hot rods in attendance. I remember as a kid, the Drive-Ins we went to (in Southern California) always had a playground in the front, right under the screen and as the movie started, you'd see silouettes/shadows of the kids still at the playground. 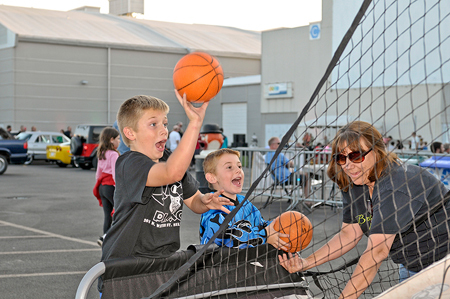 The organizers of the Drive-In Movie Spectacular had a basketball hoop game, bean bag toss and building blocks for the kids and I know my grandsons and us enjoyed them until the movie started. 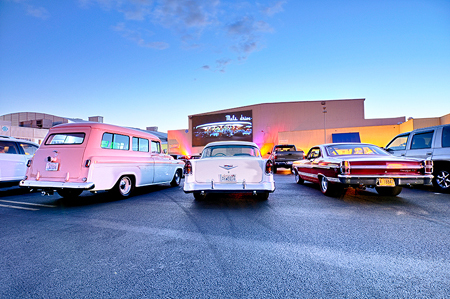 For many of the kids there, it was their first time to a Drive-In movie! Live music, food concessions and a beer garden kept the adults busy as they visited with other show goers...but when the screen lit up and American Graffiti started....it was show time! A big thumbs up! I hope they do it again next year! Click Here to view all the pictures we took! LinkedIn and more, using the buttons below!